Side control, mount, back, Ashi Garmi… Those are just a few of the positions everyone strives to get into. However, there are two ways of ending up there. One is getting there to execute any of the numerous high-percentage attacks available from there. Another is being forced there by someone attacking you from any of those, or any other “good” BJJ position for that matter. But what exactly makes certain BJJ positions bad? Are things really that bleak when you get there? If you really want a good answer to any BJJ question, a good idea is to turn to black belts or any higher belt available. So we’ll do the same. How come every time you end up in a great position against a black belt (yeah, those two times per year) they seem to just brush you off with ease? After all, certain positions are so-called “black belt killers” right? How come your latest bow and arrow modification doesn’t work even though everything is done right? The answer is in the approach. The real reason you get stuck in certain bad BJJ positions is, well, you! And it’s not down to tactics, but rather your way of thinking. The real magician at fighting from bad spots is Bernardo Faria, the man no one can hold down. His take on dealing with bad positions is outlined in his “Escapes From Everywhere” DVD set. It is the most complete instructional on turning any position into your advantage! Let’s face it, every position in BJJ can be both good and bad. And yeah, you can end up in a bad spot, regardless of experience, mindset or strategy. A fully extended armbar, a deep gripped heel hook, a sunk choke all pretty much spell the end. Yes, you have ways out some times, but they’re hard to get to if your opponent knows what they’re doing. Some other BJJ positions, though, that we often label “bad spots” and “you never want to end up there” are actually not that bad. They’re just a part of the game and you need to learn how to play it. The usual “bad spot” culprits are side control, back, and mount. As of late, we can add some Ashi Garami positions like Inside Senkaku to that list. The reality is they’re awesome to hunt for submissions because they offer a lot of control. This is precisely why we consider some BJJ positions bad and others good. It is the battle of control that you need to win if you’re going to win a certain Jiu-Jitsu position. And it doesn’t matter if you’re on top or bottom, sort of speak. Positions like those above are not inherently bad. They just have the potential of turning into really bad ones if you fail to gain control of them. And yes, out of the two grappling partners, one has an easier task of establishing control than the other. But that shouldn’t automatically mean that you’re in a bad spot, or that the person on top is in a good one. This is how black belt approaches the game and why they seem like they’re enjoying a day on the beach while you’re doing your best to get to your favorite “unbeatable” move. 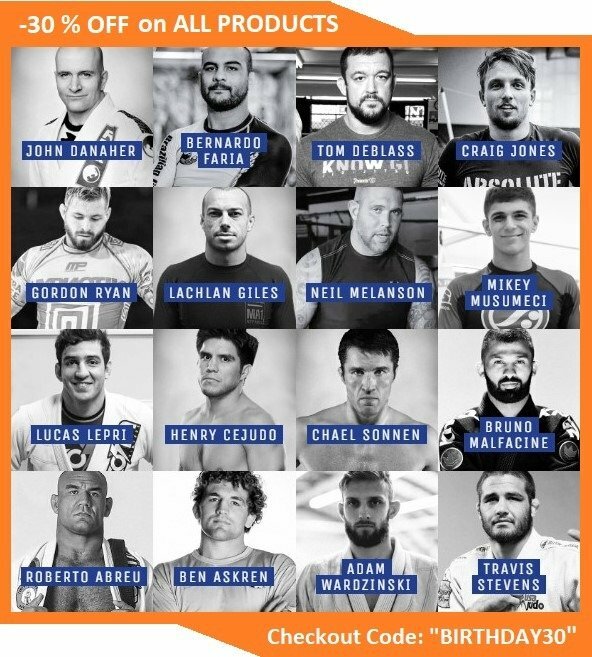 As with everything else in Jiu-Jitsu, getting out of tough spots is own to a few key problems. Once you manage to get rid of them, you’ll see that the number of “bad” BJJ positions greatly reduces. One major problem is panic. When you end up in the mount, or in tight back control, alarm bells start tinging. We all think of this as the quintessential white belt reaction – which it is. But if you carefully analyze your reaction to ending up ion such a spot, you’ll see that you’re still going into panic mode. You could be a purple, brown or even a black belt and still react the same. The solution is easy, as you’ll see in a short while. Another problem is negative thinking. No, it is not some esoteric hipster way of approaching BJJ. It is simple – the worse you think a position is, the worse it’ll feel when you get there. Being in the bottom mount does not mean the match is over – far from it. If, however, you do see things as done and dusted once you’re there, then it’s way worse than tapping out to submission. Luckily, this too has an easy fix. Finally, there’s the battle for control itself. This is down to strategy. If your only strategy is to escape, you’ll only achieve one of two things. If your opponent is highly experienced, they’ll just use your movement to get to an even tighter, and potentially really bad position. The other one is that they could use any mistake you make to capitalize on your escape effort. The reason for this is down to you only thinking about one step – getting out and ignoring everything else. As far as problem number one is concerned (panic) the solution is simple. There are two things you need to focus on in any Jiu-Jitsu position good or bad. The first one is learning how to breathe. Unless you calm your breathing, your body is going to tense and cause your feelings of panic and claustrophobia. Instead, focus on deep and relaxed breathing which is going to lead to the second part of the solution – getting comfortable. In order to achieve that, you’ll need to breathe and use the solution to our second major problem as well. The best way to stop thinking negatively about positions is to suffer as much as you can. Yeah, it sounds counter-productive, but you’re in it for the long run. Step number one is to stop trying to avoid “bad’ BJJ positions all the time. Accept them and go there as often as you can. After you get beat up for a while you’ll soon realize that there’s nothing that horrible about them. Once you stop thinking about them as mysterious villains that you need to run from, you can focus on regaining control and turning things to your advantage. Finally, a word on tactics. The more you focus on executing escapes, the less you’re going to be comfortable in a position. Instead, try to focus on regaining control. Start by ensuring there’s no opening for an attack. Next, try to connect to your opponent’s body effectively and begin to trap your opponent, limb by limb. You’ll soon find that as their comfort turns into discomfort they’ll abandon the position themselves, rendering the need for escapes useless. SO focus on control rather than escapes or defenses. All in all, it is all down to approach. If you remember to breathe, you’ll relax. When you relax, you’ll start getting comfortable. That, in turn, results in a clear mind. Since all “bad” BJJ positions are the same over and over again, you don’t have to battle with new things each time. Instead, you’re somewhere where you’ve been many times before. So, deny your opponent control, and then take some yourself. 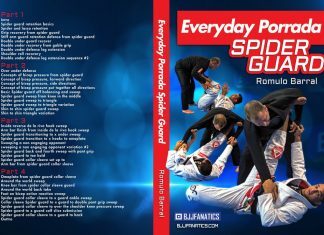 It is a surefire three-step process to ensure you’ll never be stuck in a bad spot while grappling ever again!